Arlo Moehlenpah received a Bachelor of Science and Doctor of Science degree from Washington University, and a Master of Science degree from the University of Minnesota. He also graduated from Apostolic Bible Institute. Dr. Moehlenpah pastored churches in Stevens Point, Wisconsin and High Wycombe, England and taught at Macalester College, Wisconsin State University, San Joaquin Delta College, Gateway College of Evangelism, Conquerors Bible College and Christian Life College. 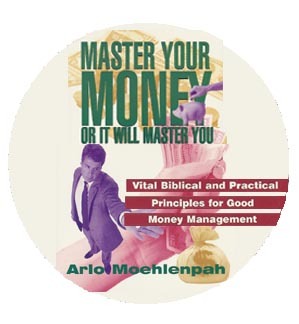 He discussed many of the concepts in this book in his personal finance course. He is a registered professional engineer with experience at a number of companies including Shell Oil, Rohm & Haas and Monsanto. He was president of Gateway College and Hydro-Air Engineering.